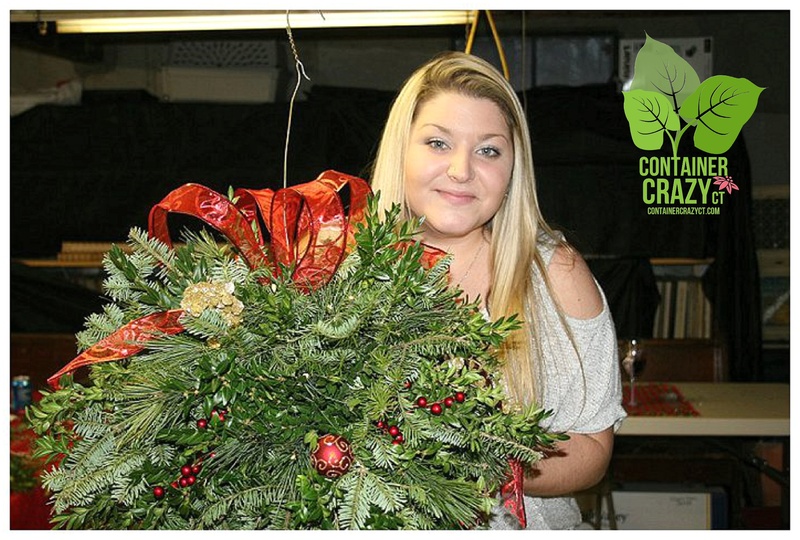 My Evergreen Creations Class being held tomorrow will include various decorations for my attendees to dress up their Kissing Ball, Wreath, Candle Centerpiece, or Mailbox Swag – whichever item they choose to make in the class. And, I can not imagine not adding bling, glam, or organic decor to a holiday creation made with a mix of fresh evergreens for it would not make it complete. However, sometimes less is more. Like in this photo below, Dianne, my good friend, and also a class attendee, showcased wreaths and bows made from barbed wire on her horse barn one year. There was a major snow storm that day when we visited her home – but we made it anyways, because we knew her event would be worth the trip! She had setup a big fire outside to keep us warm, or we could sit in her cozy home filled with holiday touches and friends. Either way, we had a great time and made it home safely with our four wheel drive truck when it was time to head out. One of the best parts of decorating for the holidays is adding your own unique style to your items. In Dianne’s case, she is really into the horse and animal world, and it shows at her cozy dwellings. She had some curtains hanging from vintage styled wooden horse apparel, old wooden crates filled with fresh evergreens and decor, and touches of classy country in her home. I remember feeling honored we were part of her holiday event, and especially wanted to capture the mix of barbed wire wreaths on her barn wall in a photo, even if it was snowing like heck outside. As you can see, the wreaths were simple with little decor – which worked, especially with her beautiful barn as the backdrop to the barb wire arrangement. But in other case, more is more – you may have a style of maxing it to the fullest with decorations! Or, you may have a color theme in mind to suit your home. 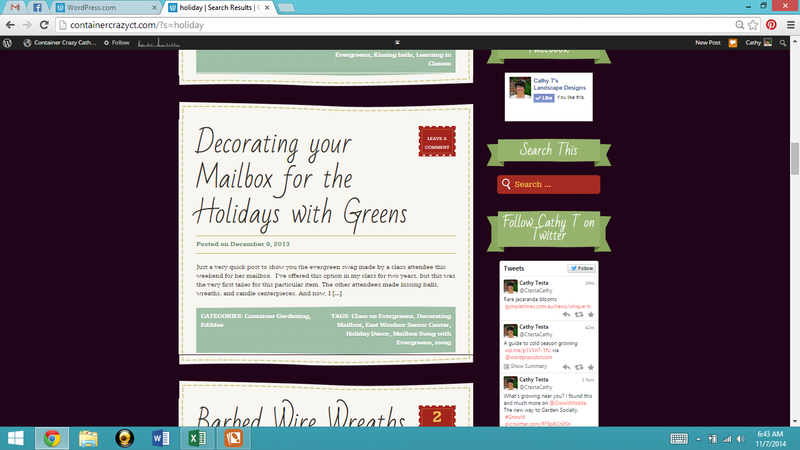 For example, this year I ended up with some candy cane colors in one room. And — of course, the organic and natural decor, the brown and tans of pine cones, pods, raffia, dried mushrooms or fruit, with a splash of gold, red or white to add just that bit of that must needed holiday sparkle is another style. Who can resist bright red or gold berries on a wreath or candle centerpiece?! All of these types of decorations will be available at my class tomorrow for the attendees. And per the weatherman, we will have a light dusting of snow in the morning, which I think is just perfect. It makes the day feel like the holidays are approaching. Thankfully it is not a major snow storm like we experienced when we went to my friend Dianne’s house that year. See you all tomorrow ladies. 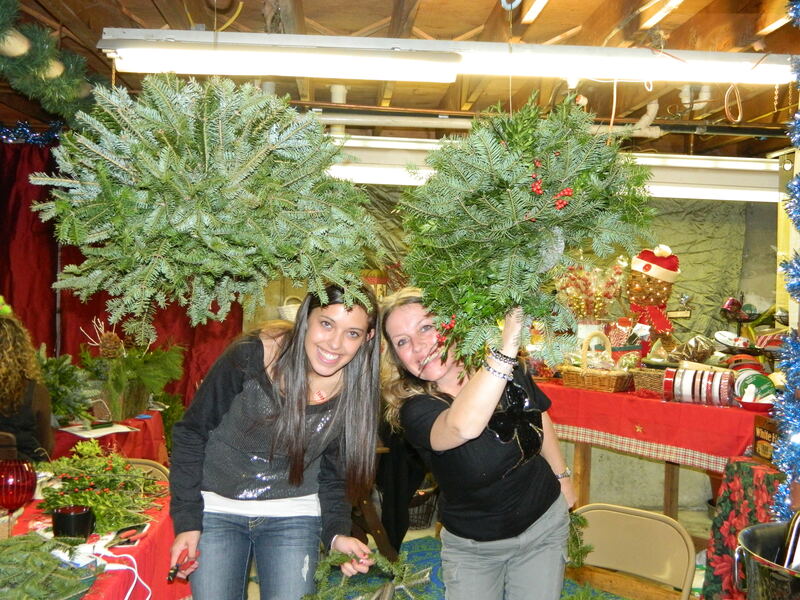 One more day til the annual “Evergreen Kissing Balls and Holiday Creations Class.” Get your crafty juices warmed up – we will be creating soon.